Our public land Elk Hunts take place in northern and southern New Mexico in Units 55, 15, 16A,16,b, 16C, 16D, 16E, 34, 2, 7, 5A, 5B, 6A, 6B & 6C known for their trophy quality and thriving elk herds.These hunts take place on foot or on horses when requested. My guides and I have covered a lot of ground in these units and know what it takes to harvest a trophy bull on public land. Every year my team of guides and I set out in search of the biggest bulls we can find, in these units, in hope to help fulfill our clients dreams in harvesting a trophy of a lifetime. Throughout the year we are checking trail cams and spending a lot of time scouring the country in search of bulls pushing that magical 400" mark. Whether you have drawn a tag or you are looking to enter into the Public land draw we would love to help out and answer any questions you have regarding these hunts or any other units throughout the state. We have hunt packages to accommodate any hunters needs. No fees are due unless you draw your tag. 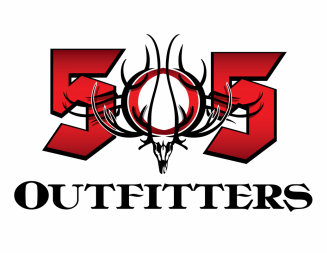 We highly recommend everyone to utilize our free application service and great odds in the outfitter pool.